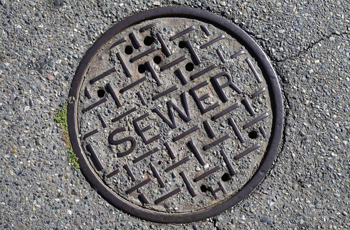 Over the last fifty years Mel has walked most of the major sewer lines in the city. On one occasion he encountered a piece of plywood lying across the inside of the pipe. Resting on the plywood were a chair and a table like you might have next to your bed. I imagine that someone lived in a noisy, complicated part of the city and needed to get away. Down in the pipe they could sit, listen to the flow beneath their feet, and look up through a circular window to the sky.